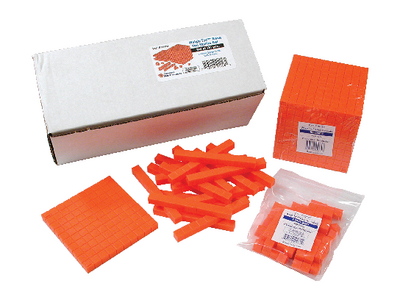 Students gain hands-on knowledge of base 10 concepts using this set of durable plastic unit cubes, rods, flats and decimeter cubes. Utilize them in teaching place value, counting, grouping, measuring surface and volume. Available in Blue or Orange.